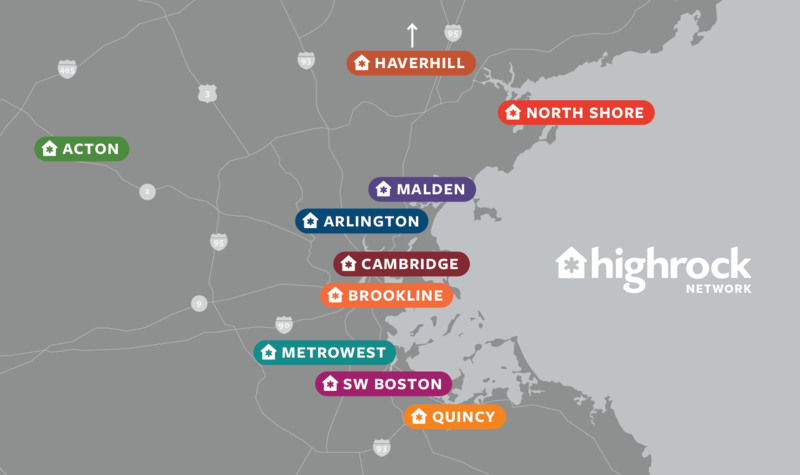 Welcome to Highrock Malden! We would love to invite you to a service on Sunday morning or to any of our events throughout the week. If you are new, our main worship service on Sunday is a great place to start. We look forward to seeing you soon! Kidsrock, our children's ministry for infants through fifth grade, is offered during every service. If you have children, a greeter will be happy to direct you to the children's ministry location, which opens for registration at 9:15. During the service, parent paging is available for your peace of mind. Questions? Reach out to our Children's Director, Kelsey Menon, at kelsey@highrockmalden.org. Head downstairs to the lobby after service for a cup of coffee or tea and snacks. It’s a great opportunity to make connections and meet new people—and it’s free! We offer Kidsrock for infants through age four throughout the entire service. During their time in Kidsrock, children will hear a Bible story, sing songs, have free play, and enjoy a snack. Parents can pick up their children immediately following the service. After checking into Kidsrock, children in kindergarten through fifth grade join their families for the start of the service to sing and worship God together as a church. Children are then escorted by Kidsrock leaders to their class for an interactive Bible teaching, Small Groups, games, a craft, and a snack. Parents can pick up their children immediately following the service. 150 Cross Street, Malden, MA 02148 Highrock Malden meets in the Ferrway Elementary School on the corner of Ferry Street and Cross Street. There is ample parking in the Ferryway Elementary School's parking lot on Walnut Street. There is also free street parking on Ferry Street, Cross Street, and Walnut Street. Bus 105 to Cross St. @ Walnut St. Bus 104 to Ferry St. @ Cross St.
Highrock Malden wants to include everyone in our community. There are designated handicapped parking spaces in the parking lot located on the Walnut Street entrance. Once inside, you'll be directed to the elevator which will take you to the second floor where wheelchair accessible seating is available. ADA compliant restrooms are available on all floors.